The only way I carry a snubbie is cross draw AIWB. Seems to conceal better for me and I can draw faster. YMMV. G43 and extra mag in a T5 customs (same crap as everyone else). Love it and haven’t carried strong side since I got that rig. I am eyeing a Teir 1 for my G19 for appendix carry. The above thread may be of interest on this topic. Includes videos as well as the ND/AD of the Glock 43 a couple of months ago. dig into gut too much when I sit/drive. What I use so comfortable I forget I'm wearing it. S&W 442 in a Galco Stow-and-go. I lost about 40lbs in the last 6 months and can now tryout AWIB with some success. It was basically impossible for me before. It's still not perfect but I'm playing around with it. 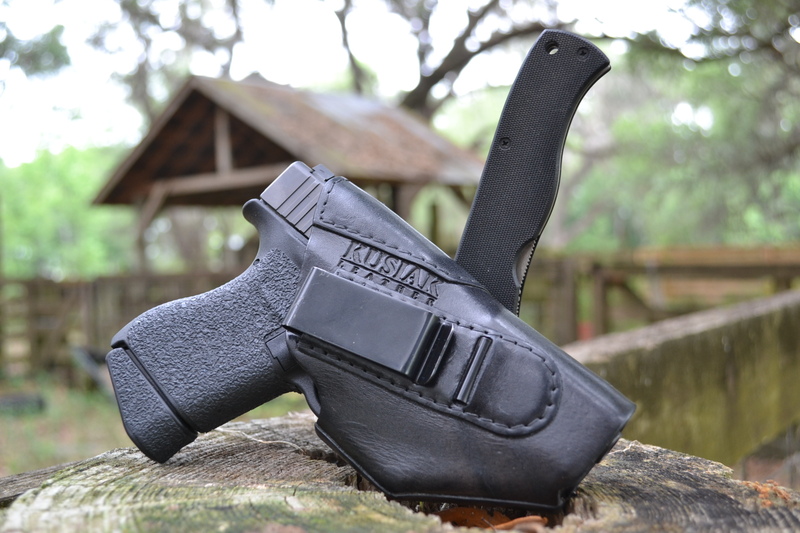 I agree on the Vedder LightTuck and Kusiak holsters. I have a few of each for different guns that work well. The Sticky and Remora holsters work well too. Congrats on the weight loss! I'm just coming off four years disability myself and working on that.